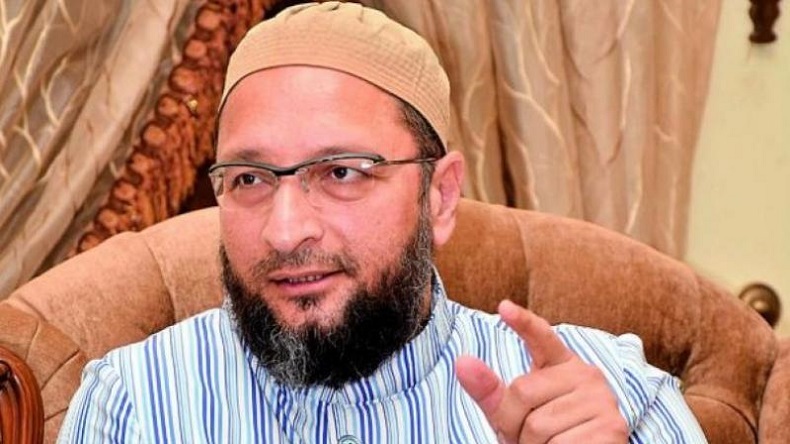 Taking on Shah head on over the latter's 'minority appeasement politics' jibe, Owaisi said AIMIM doesn't want reservations on the basis of religion because Telangana government functions according to the rules and resolutions passed by the Constitution or the state assembly. But the AIMIM chief demanded minority quota according to the recommendations made by the Sachar, Ranganath Mishra, Kundu and Sudhir Commission. All India Majlis-e-Ittehad-ul Muslimeen (AIMIM) chief Asaduddin Owaisi on Saturday challenged BJP president Amit Shah to contest from Hyderabad in the upcoming assembly elections in Telangana. Owaisi dared Shah minutes after the BJP president claimed that BJP will fight on all seats in Telangana and emerge as a strong and decisive force in the state. Taking on Shah head on over the latter’s ‘minority appeasement politics’ jibe, Owaisi said AIMIM doesn’t want reservations on the basis of religion because Telangana government functions according to the rules and resolutions passed by the Constitution or the state assembly. But the AIMIM chief demanded minority quota according to the recommendations made by the Sachar, Ranganath Mishra, Kundu and Sudhir Commission. Launching a scathing attack on Telangana Rashtra Samithi (TRS) and Telangana’s caretaker Chief Minister Kalvakuntla Chandrasekhar Rao, Shah on Saturday said if the TRS government comes to power in Telangana, vote bank and appeasement politics will continue in the state. “Is it not appeasement politics to propose 12 per cent reservation for the minority? They know that our Constitution does not allow reservation based on religion,” Shah questioned. Shah said Chandrasekhar Rao had supported the ‘one nation, one election’ theory but today his party has changed its stand and has forced a small state to bear the expense of two elections – state assembly and Lok Sabha. The BJP president also questioned Rao why he has put such an expense on the people of Telangana. However, the AIMIM on Tuesday announced its first list of seven candidates for the upcoming assembly elections in the state. The candidates are Syed Ahmed Pasha Quadri (Yakutpura), Mumtaz Ahmed Khan (Charminar), Mohd Moazam Khan (Bahadurpura), Ahmed Bin Abdullah Balala (Malakpet), Jaffer Hussain Meraj (Nampally) and Kausar Moinuddin (Karwan). Owaisi’s younger brother Akbaruddin Owaisi would contest from Chandrayangutta assembly segment, reports said.